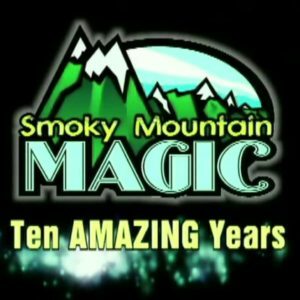 Smoky Mountain Magic – We Build AMAZING Things! Welcome to Smoky Mt Magic! Now Celebrating our 10th ANNIVERSARY! A decade of building AMAZING THINGS! Click the image to check out the video. See how we started, how we made it here and what we’ve done along the way. It’s been QUITE a ride…and it ain’t over yet! Grab some popcorn and enjoy! Nestled in the beautiful Smoky Mountains of East Tennessee, Smoky Mountain Magic builds both standard and custom magic tricks and illusions for Clients worldwide. We love taking a client’s dream and combining it with our creative vision to produce something totally new for them. 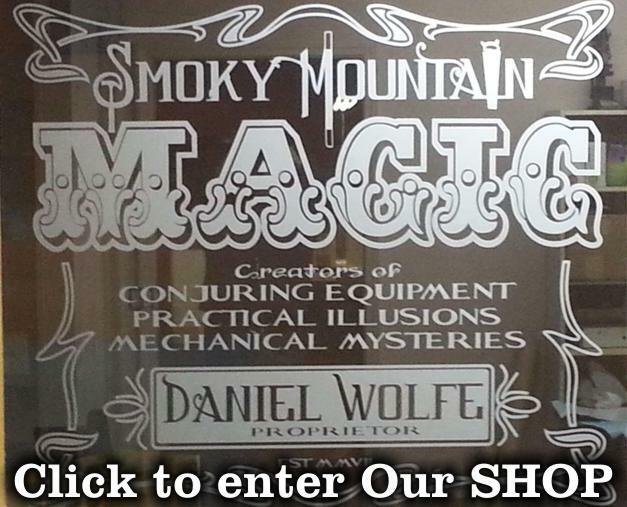 Smoky Mountain Magic is owned and operated by Dan Wolfe; an award-winning entertainer, a magical inventor, designer, artist and craftsman. Before opening his workshop, Dan was a full-time performer for almost 20 years. He knows and understands what needs to happen with these props, not just on stage, but off stage, in storage and during transport. He incorporates that vast experience and practicality into all of his designs. 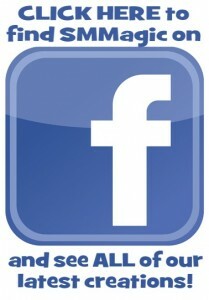 Our Mission: To create innovative magic, solidly built, at a fair price. Innovative — Smoky Mountain doesn’t bother to produce “me too” effects. Everything we build is somehow different, improved or made better in some way. After all, if it’s already available elsewhere and we can’t top it, why bother? Solidly Built — Dan follows a family tradition of craftsmanship. His Father is a cabinet maker and gunsmith. His grandfather built furniture and cuckoo clocks from scratch. His great-uncle made fiddles and guitars. He would want them to be proud of anything that leaves his workshop….and they would be. Fair Price — Quality is not cheap. Smoky Mountain is known for using the finest materials available and craftsmanship that is second to none. Granted, this devotion to quality does raise the price a bit. These are professional tools, not toys. Something that will be appreciated by a professional. Peek around. Poke in the corners. You never know what you’ll find around here. If something peaks your interest, just give us a call.